Sound, images, video and text are woven together to give participants a fascinating overview of the world of aeronautics and space exploration, past and present. 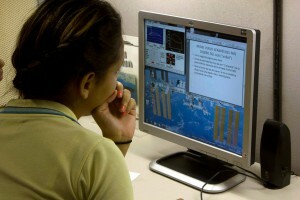 You can experience aviation history and learn about NASA’s research in space and aeronautics. 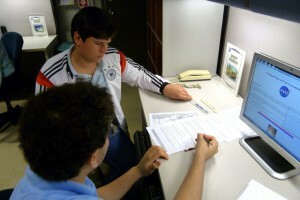 In the Aircraft Design station you have the task of an aircraft engineer. You’ll need to create different working airplane models to compare with and determine which one is the most effective at traveling to your determined location. It’s not a game. Pilots use it to practice and accumulate flight hours to keep their license. Fly this physically realistic flight simulator from the runway to the landing track. Will you survive? 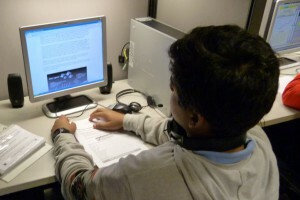 In modern times physical testing wings has been substituted with computer physics simulations. 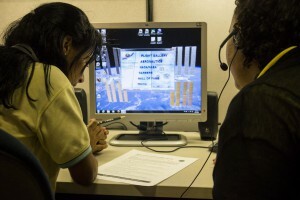 On this station you’ll use a Computer Assisted Design (CAD) simulation to study the conditions in which air sustains a wing. 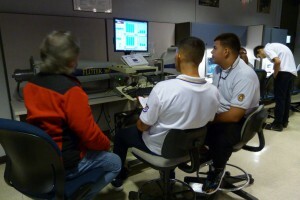 Learn how this impressing system helps the aeronautics field on a daily basis. 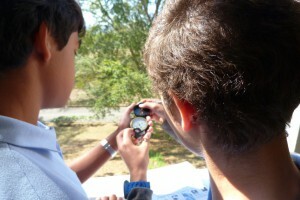 Use GPS equipment to find your position coordinates (latitude and longitude). 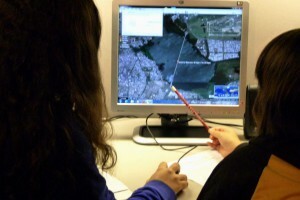 Also use a radio transmitter to practice information delivery by stating weather conditions in a virtual radio station. A vast collection of images and geological data allows us to observe and measure with great precision any point across the globe. Use these images to analyze different terrains. Interpret images obtained from planes and satellites orbiting around Earth. Learn how airplanes work and experience first hand their aerodynamics. On the Resource Center you have the possibility of making 50 different paper airplane configurations. Each has its unique way of flying which varies according to to its shape. On this station you’ll collect the necessary climate information to plan your flight. In the process you’ll learn the terminology used by scientists, learn to estimate the weather conditions using perception and then compare those estimates with real-time weather data. On this station you’ll learn how a plane sustains itself in horizontal flight. You’ll do two experiments varying the angle of attack and speed to see their effect on a wing’s lift. In this station it is your task to research and organize the schedule of a pilot visiting California, NASA’s installations and San Francisco City.